Back in Business Zermatt's park was the last to close and the first to open. Cédric Neff, no jacket required. Watch out for this kid! A great thing about the summer here is that you’ll most likely bump into familiar faces, just like we did with the guys from RAD Movie Productions. If you haven’t already, we highly recommend that you check out their latest offering, Circum Volution (now playing on page 1). 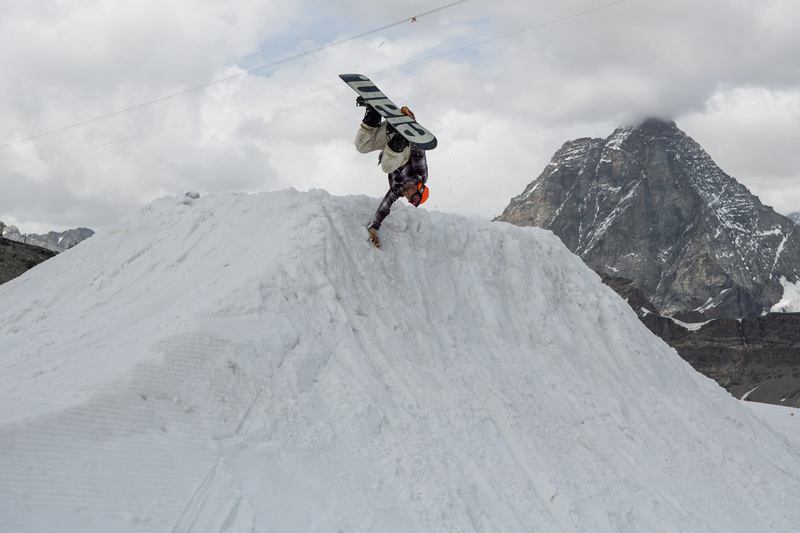 Valentin Zimmermann always has a good eye for special lines like this transfer from the table of the kicker into a short transition. 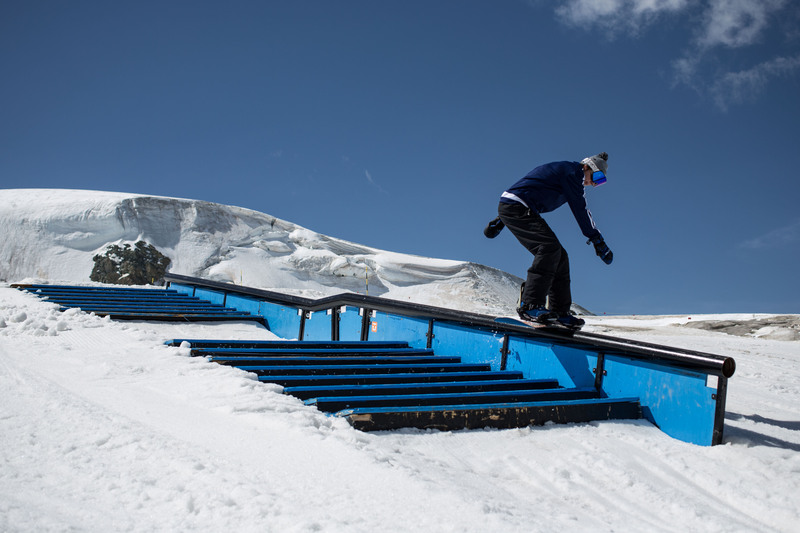 At the moment, Snowpark Zermatt’s setup is perfect for all you jib aficionados, with a wide variety of different features. There were already plenty of options in the past few years, but for the summer session, even more features were added. William Arnold wasted no time and already made good use of this new feature. 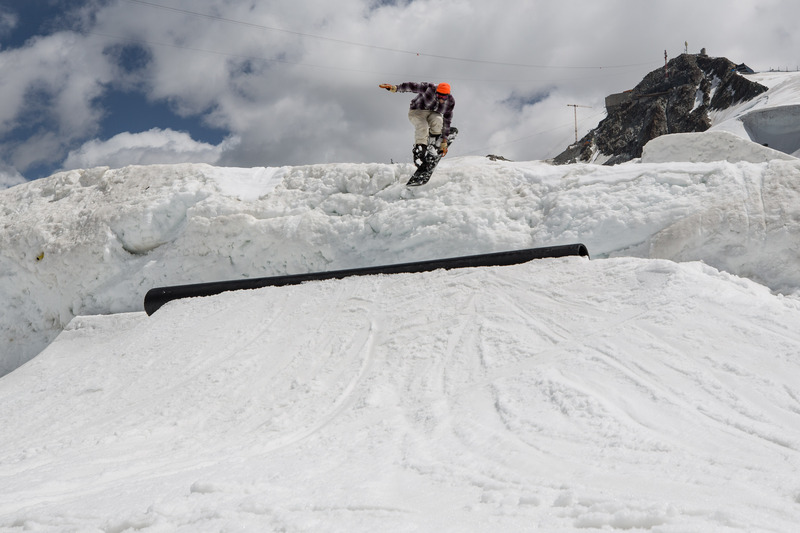 One thing that comes included with a visit to Snowpark Zermatt – given that the weather cooperates – is the majestic view of the ‘Horu’. Mandatory 'Horu' shot + Valentin Zimmermann hand planting. 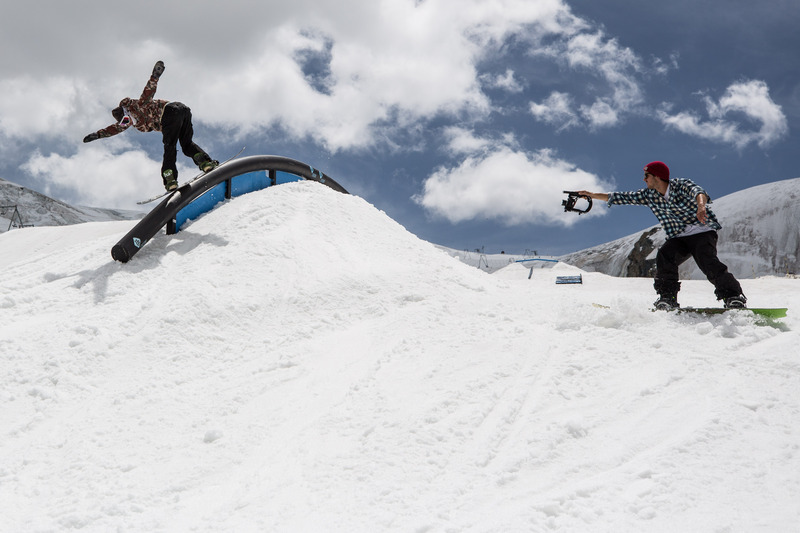 It might have been the first day of the summer season, but the RAD boys wasted no time stacking footy. If you want to know what it was like to film RAD Movie Productions’ latest flick, you can read about it here. Janis Perren getting the shot of William Arnold. 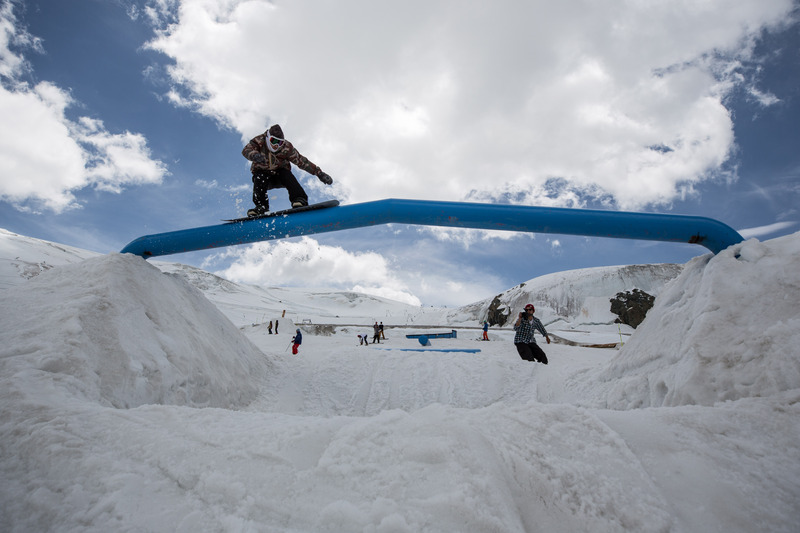 Big thanks to Kuno Egli for the photos and report, and Snowpark Zermatt for the good times. Hope to see you up there soon!